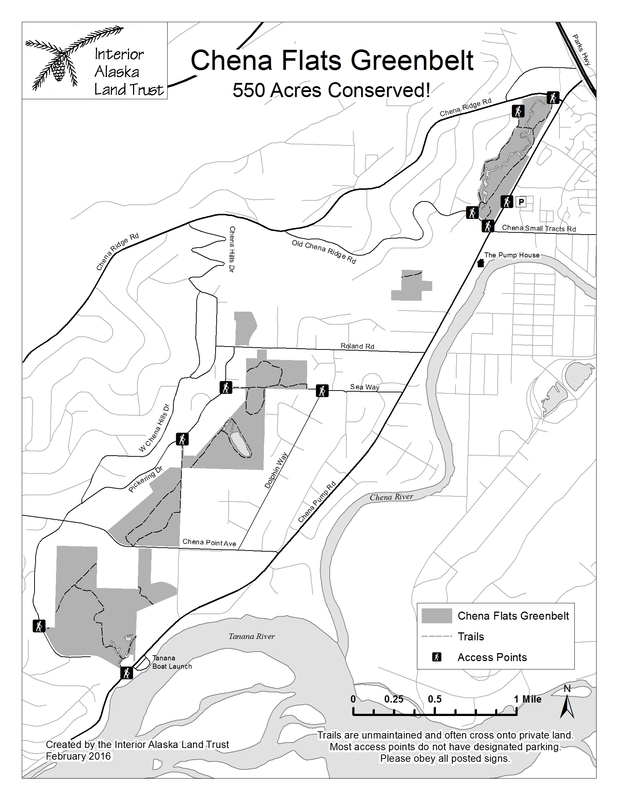 Click on a map image to see a larger version. 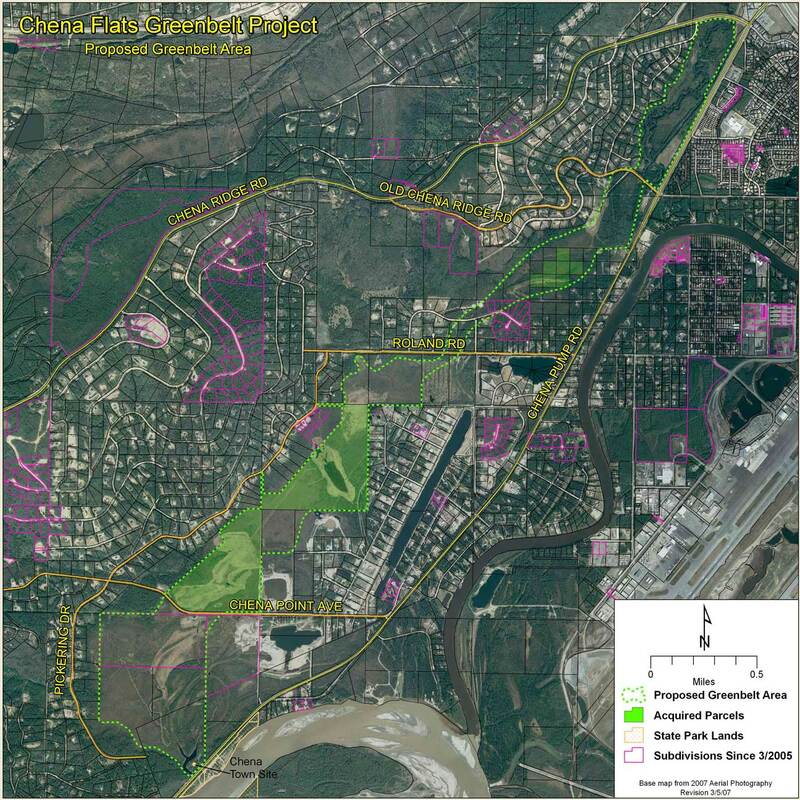 Satellite Map of Approximate Area Boundary of Chena Flats Greenbelt Area. Courtesy of Robert Henszey, US Fish and Wildlife Service, Fairbanks Office. 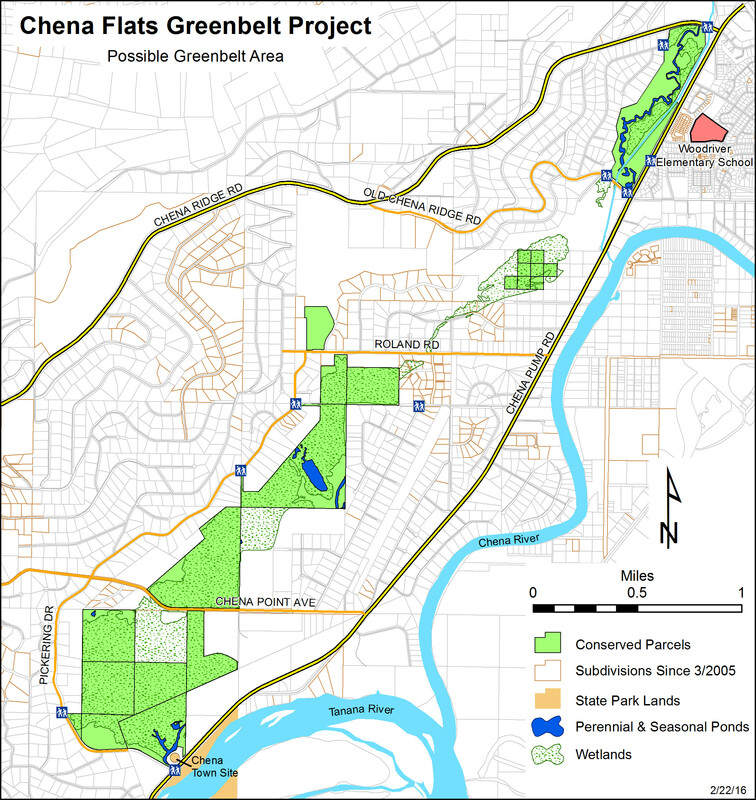 Soils map of Chena Flats Area. 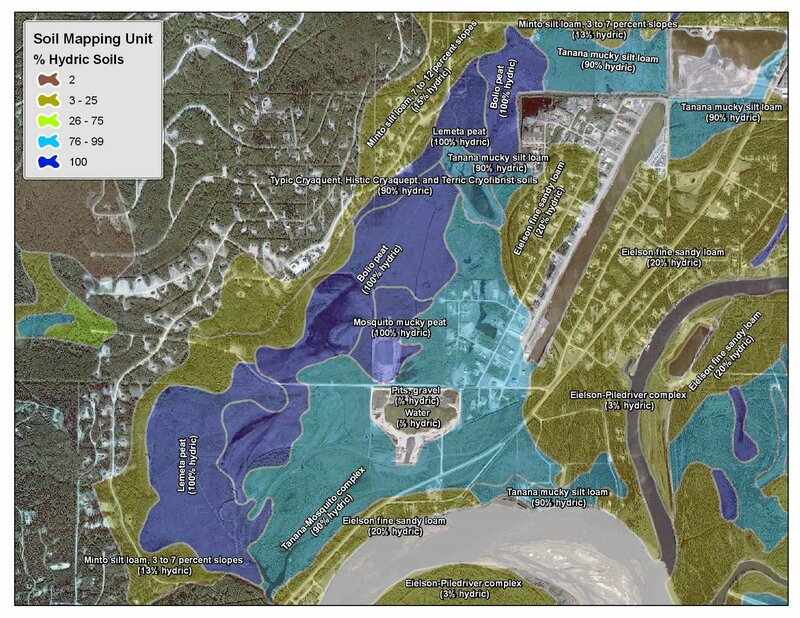 Courtesy of US Fish and Wildlife Service, Fairbanks Office. 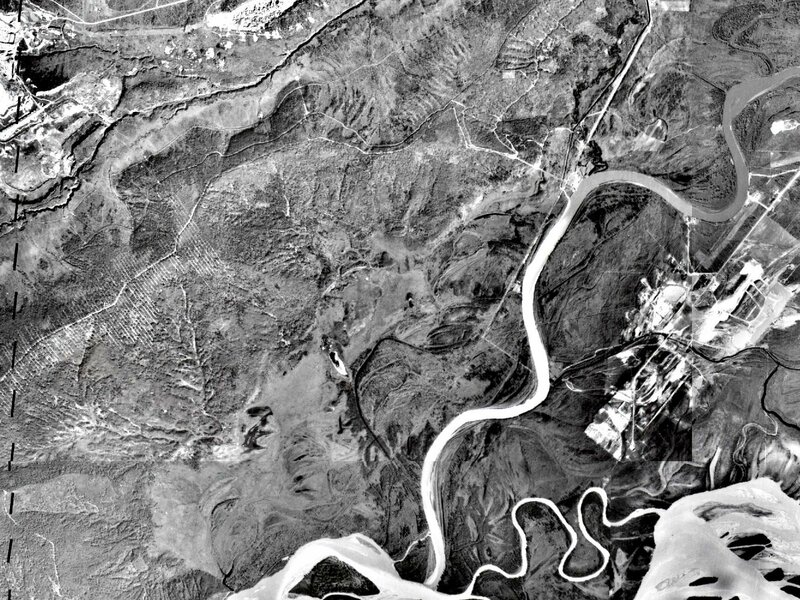 Aerial Photo of the Chena River Entering the Tanana River and the Surrounding Flats, 1949. Courtesy of Robert Henszey, US Fish and Wildlife Service, Fairbanks Office. 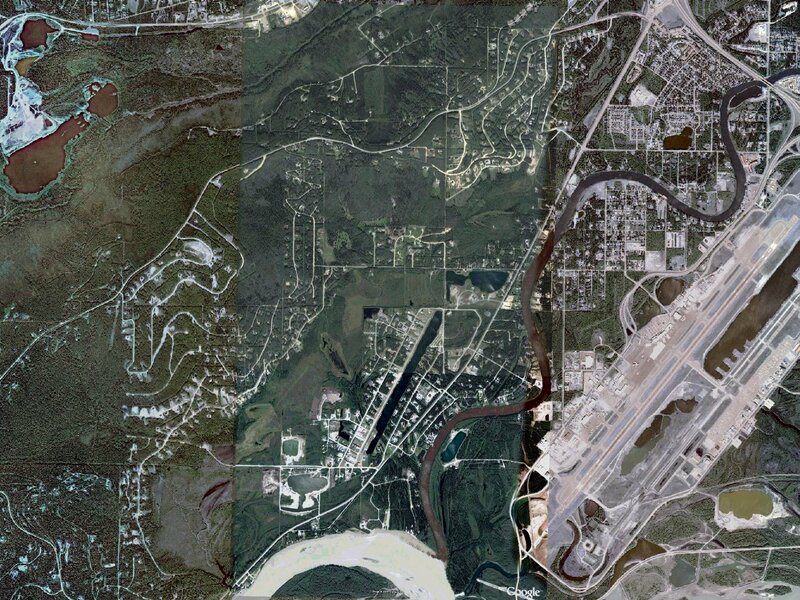 Composite Aerial Image of the Chena River Entering the Tanana River and the Surrounding Flats, 1978. Courtesy of Robert Henszey, US Fish and Wildlife Service, Fairbanks Office. 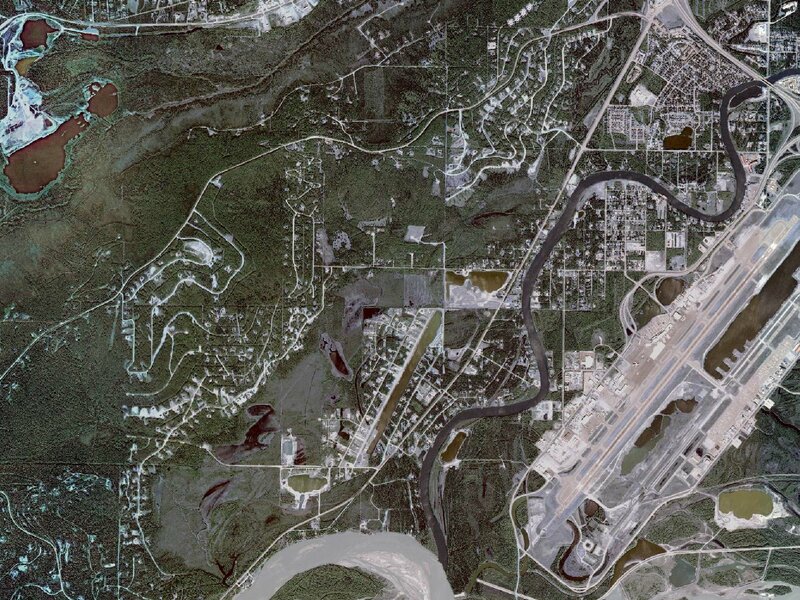 Satellite Image of the Chena River Entering the Tanana River and the Surrounding Flats, ca. 2002. Courtesy of Robert Henszey, US Fish and Wildlife Service, Fairbanks Office. 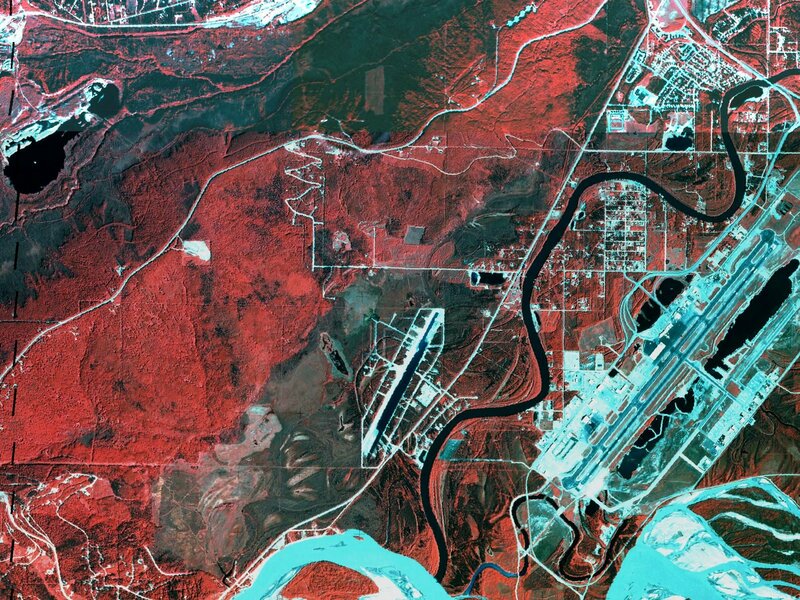 Satellite Image of the Chena River Entering the Tanana River and the Surrounding Flats, ca. 2005. Courtesy of Robert Henszey, US Fish and Wildlife Service, Fairbanks Office. 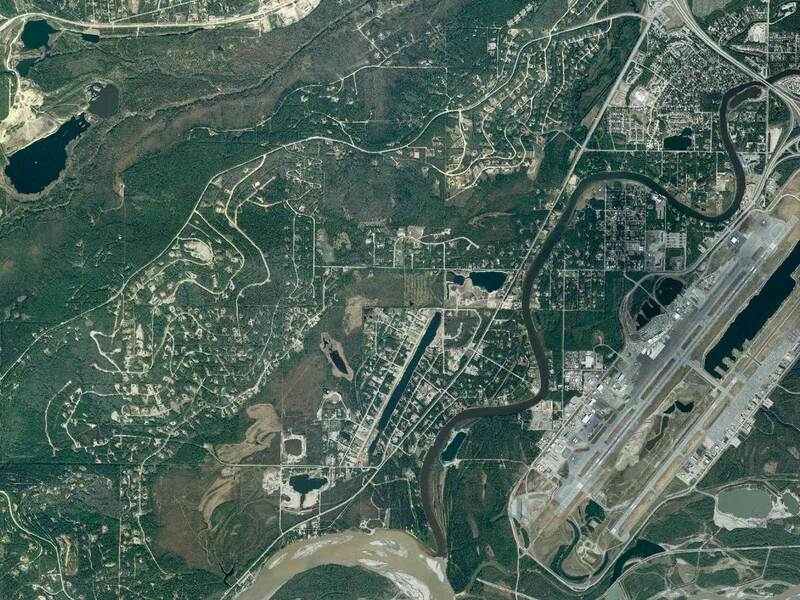 Satellite Image of the Chena River Entering the Tanana River and the Surrounding Flats, ca. 2007. Courtesy of Robert Henszey, US Fish and Wildlife Service, Fairbanks Office. (Courtesy of Robert Henszey, US Fish and Wildlife Service, Fairbanks Office).